The Swiss Government is to strengthen its relations with Nigeria in the non-oil sectors in line with the Federal Government’s diversification agenda. 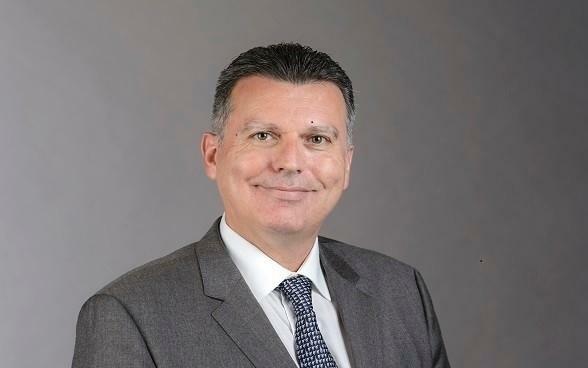 Swiss Ambassador to Nigeria, Mr Eric Mayoraz, made this known in an interview on the occasion of the 727th Anniversary of the Swiss Confederation and a farewell reception in his honour in Abuja. Mayoraz, who has served in Nigeria for three years, said that both countries have made “concrete achievements” in their bilateral relations. The envoy said that Nigeria was a main exporter of oil to Switzerland and both countries were working to diversify relations in other sectors. “In 2015 we opened a new economic consulate in Lagos and created a Swiss-Nigeria council, like a chamber of commerce. “There is Lafarge Nigeria cement factory; Nestle Nigeria Plc that produces consumables; there are pharmaceuticals companies and companies in new technologies as well. “This is a very diverse and open scope of economic relations; I know there are Swiss investors in the agriculture field; there are Swiss-Nigeria joint ventures in Jos, Plateau and Kaduna State that are trying to promote the value of potatoes. He also recalled major achievements in the bilateral relations of both countries in the last three years which included the visit of high-level delegations from both parties to facilitate partnerships in diverse areas. “The signing of a Memorandum of Understanding on annual high-level bilateral consultation and political human rights and migration consultation is also an achievement. “We had the repatriation of 322 million dollars of the Abacha-loot and we also signed MoU on mutual legal assistance to fight corruption in the future. The envoy further expressed gratitude to local and international partners for their support in the successes achieved during his mandate and commended the resilience of the Nigerians. “I will above all remember the great people of Nigeria, I really admire them; their courage and patience in many a time very difficult environment. Mayoraz said he had been appointed by his Government to be the next ambassador of Switzerland to Mexico. NAN reports that Nigeria is a major oil producer and has since 2015 been Switzerland’s biggest oil supplier. In 2017, 45 per cent of Swiss oil imports came from the former British colony. Some 45 Swiss companies are currently present in Nigeria, according to officials. Together they employ nearly 9,000 people.